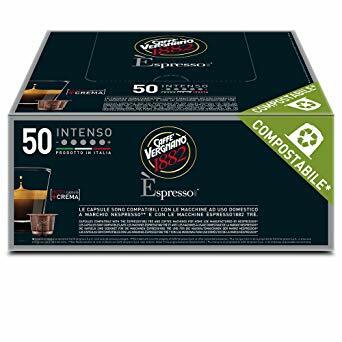 Pack of 50 biodegradable capsules Espresso Intenso capsules from Caffe Vergnano. 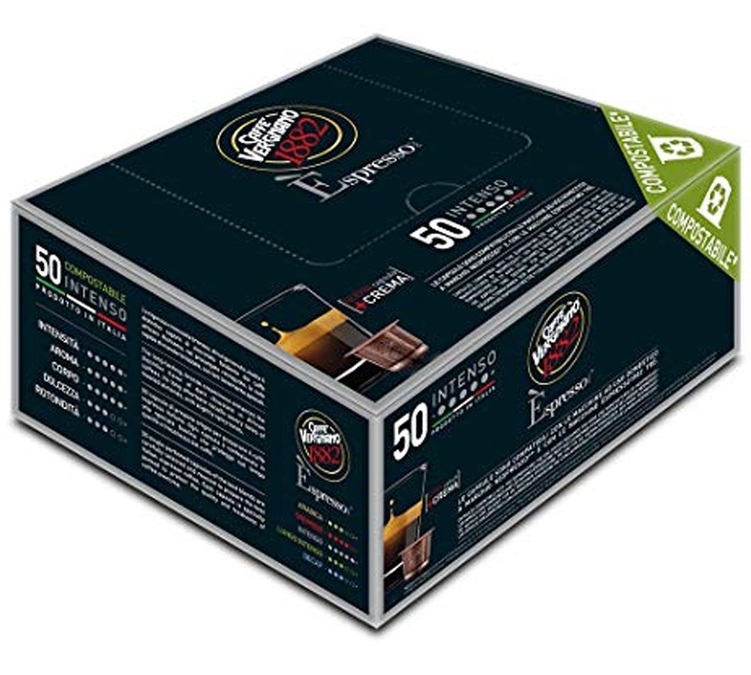 The strongest intensity capsule in the range, creamy, this coffee unleashes dark chocolate flavours. The capsules are compatible with Nespresso® systems. Comes in a pack of 50 capsules. Caffè Vergnano is a company that boasts a long and prestigious history. The company was founded way back in 1882 by Domenico Vergnano, grandfather of the current owners, who set up business in the small medieval town of Chieri, at the foot of Turin Hill. The true vocation of the Vergnano family became apparent very quickly: in just a few years they mastered the art of coffee-roasting and selling.